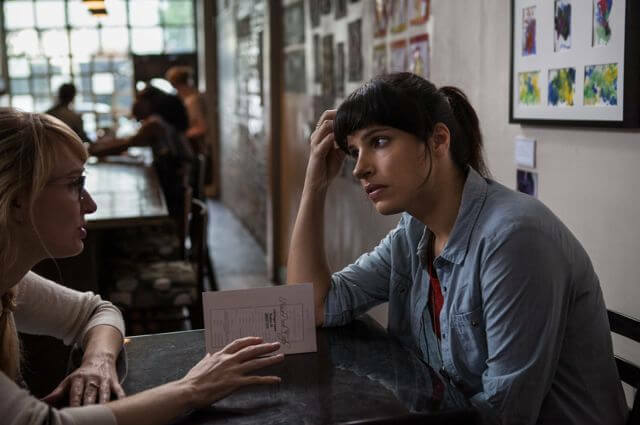 Shahd Al-Janabi goes behind-the-scenes at the Sydney Film Festival and talks to filmmaker Desiree Akhavan about her feature film, Appropriate Behaviour. 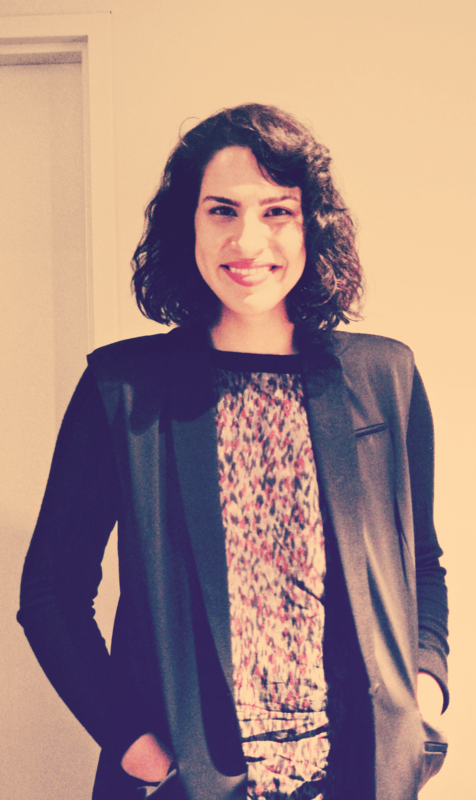 Desiree Akhavan before the premiere of her film at the Sydney Film Festival on Friday. If a push-and-pull of cultures could be exasperated by a push-and-pull of sexuality then the result would be bi-sexual, Iranian-American filmmaker, Desiree Akhavan. Debuting her first feature film, Appropriate Behaviour, at the Sydney Film Festival, Akhavan brings her controversial mix of labels to the fore in an 82 minute long comedy. Written and directed by Akhavan, the film is about a bi-sexual woman trying to figure out life after breaking up with her girlfriend, whilst simultaneously deciding when and how to come out to her Iranian parents. Akhavan points out that it is rare for films to feature a bi-sexual female of Iranian background as a lead character, which is exactly what she did by acting the part of Shirin, the protagonist. Although Akhavan says that the film is not autobiographical, she does draw on personal experiences. “When I wrote it … I was going through a breakup,”she tells Sajjeling. Nevertheless, it’s definitely telling for the audience that Akhavan has a talent “to take something personal then heighten it to something absurd”, which, frankly, makes for the funniest, most compelling, film-watching experience. Aside from its entertainment value, the film also seeks to portray people who identify as Iranian, female and bi-sexual, or any combination of those three labels. Akhavan says that she grew up in a community where she “never fit in”. “On a personal level, our interests are so different, so different,” she says of her Iranian community. So, also close to her heart, was the fact that she wanted to depict characters of Middle Eastern background, and their differing stories. “I hope that people leave entertained, but also really identify with a voice that’s very much unlike their own. It’s rare to meet an Iranian bisexual,” she says. In its own way, the film does hilariously challenge stereotypical White, Western perspectives on the Arab world. But, as we saw last year when Nazeem Hussein’s TV show, Legally Brown, aired in Australia, there comes a burden with representation and Akhavan seems well aware of it. The film has so far only screened at the Sundance Film Festival in January and the Maryland Film Festival in May, so the verdict is still out on her community’s reaction. “Everybody is in on the fact that I’m gay, and that my film is about those issues, and they’ve been incredibly wonderful, and supportive. But, that said, no one has seen it. Ask me in a year,” says Akhavan. Perhaps most interesting is the press reception of the film, which is often labelled in reviews as “a lesbian Persian-American ‘Girls’ knockoff“. This labelling is a reminder that filmmakers from minority groups (whether ethnic or homosexual) are likely to be pigeonholed; that is, there’s an underlying perception that minority filmmakers only tell stories that are for people who ascribe to a particular label. Her response is simple. “I see myself as a human being,” she says. Indeed Appropriate Behaviour elegantly shows that people of a minority background can tell universal stories because their issues – the embarrassing and triumphant moments in their life – are no different to those of other people. In fact, you can insert any culture or sexuality into the film and it would work. That Appropriate Behaviour has made it this far as an Indie film is, to Akhavan, indicative that there is an increasing “desire to hear original stories by women”. Nevertheless, it’s hard to ignore the fact that she has time and time again been compared to American filmmaker and actress, Lena Dunham. It cannot be doubted that such comparisons force one to perceive themselves as a female filmmaker who does comedy rather than, purely, as a filmmaker who does comedy. “Of course the comparisons are going to be there because everyone knows who she [Dunham] is; she’s a brand now. But I’d love for there to be more than one comedic voice out there,” says Akhavan. And perhaps there will be. Akhavan is due to star in Season 4 of Dunham’s HBO series, Girls, which will air on Foxtel’s Showcase channel this year. She also has three new projects in the pipeline: a comedic feature film about a high school girl and her teacher that she describes as “Rushmore-esque”, a television series that seeks to tell a bi-sexual story other than that of Tila Tequila, and an animated series for Judy McGrath’s site, Astronauts Wanted. “It does feel like I’m coming of age at a time where there’s a lot of distinct [female voices] taking chances,” says Akhavan, and her film Appropriate Behaviour ends on a similar hopeful note. “We’ll get it right,”says Shirin, the film’s protagonist. And maybe – beyond the realms of labeling, restriction and stereotypes – there will indeed be a place and time where, as a community, we will. Appropriate Behaviour is screening on Tuesday 10 June at the Sydney Film Festival, 2014. Visit the website for more details.